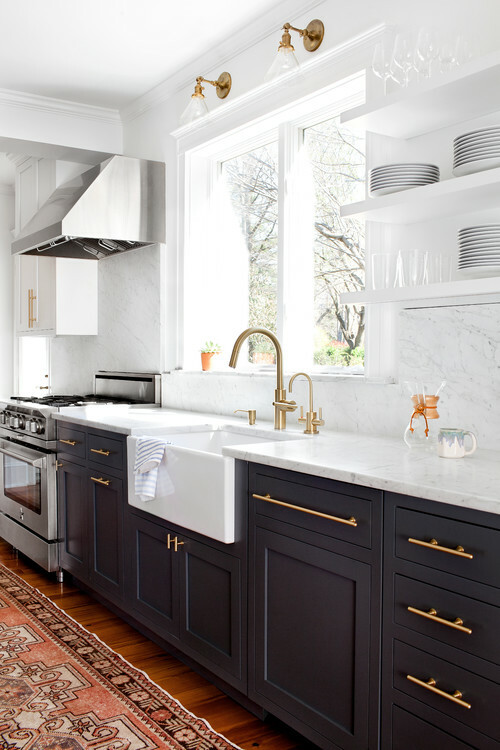 8 Amazing Navy Kitchen trends to watch out for! Kitchen trends come and go but if you are looking for a timeless kitchen that will never go out of style then navy is the colour. Navy is probably not on the top of your list but matched with whites, marble, timber, black or copper it can look striking. A lovely navy colour can create a farmhouse interior, a Hampton’s style or the classic English. Just using white can look amazing but can leave you wanting a contrast. Blue really gives your kitchen personality. It is the colour of the sky and sea and can be associated with depth and stability. If your kitchen is the hub of your home then creating a sea of blue can create an amazing space for your family to gather. 1. Get all your samples together including tiles, back splash, bench top, lighting, cupboards, and flooring and spread them out. Make sure you look at them all together in different light to make sure they all blend. 2. You don’t need to spend a fortune on all the latest fixtures and fittings. Pick up one or two key fixtures or fittings and work back with your cupboard doors and bench top. Purchasing these online can save your thousands however make sure you check with your builder or kitchen specialist to make sure you get the right fittings. 3. Adding a touch of navy in a splash back or as a feature on the island bench is a great option. Feel free to mix in copper, white, marble into your kitchen. 4. If you are wanting a country style kitchen then a brilliant white and navy is a perfect combination. Adding in timber can create a warmer effect or for a more traditional country style then navy and cream will be perfect. 5. 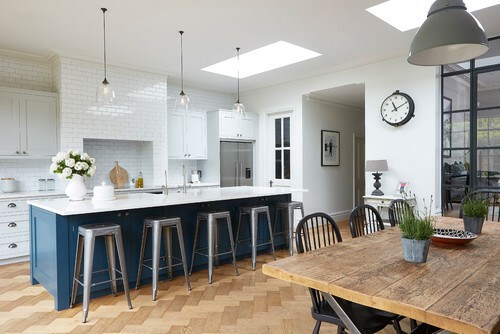 My personal favourite is the mix and match style check out my 8 Amazing Navy kitchen trends below. So over to you? Have you got any suggestions or tips to add?